What better time of year than now to get outside and enjoy the crisp, fresh air! 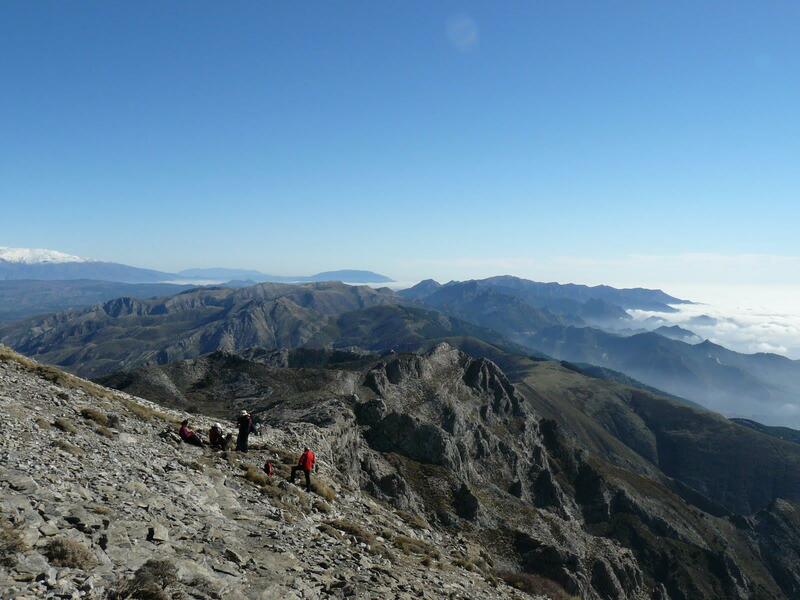 The 35ºC weather that is typical of Spain has gone for the season, so we invite you to explore the best hiking and walking routes in the southern region of Andalusia. Take a break from the thin air of the city by immersing yourself deep in the heart of the untouched countryside, discovering unique trails in Andalusia that will undoubtedly be an authentic experience for the whole family. You never know what you will come across, but we predict vertiginous landscapes, exotic birds, wild mushrooms, chestnuts, and more. This compiled list of best route locations - from Cadiz to Granada - will tempt you to spend nearly every weekend discovering the outdoors. The new and accessible Caminito del Rey is one of the most visited places in the heart of El Chorro. Since opened to the public in late March of 2015, route is once again tackled by many brave hikers and adrenaline junkies alike. However, the new safety and accessibility features mean this trail is now possible for the less-experienced, so don't be shy! No doubt, one of the greatest wonders that can be experienced in Spain. Spain-Holiday.com was invited, along with other media and authorities, to experience the route improvements. Take a look in the video above! The Pedroches Valley in the province of Cordoba features 10 beautiful routes, most of them being cattle trails with a plethora of signs to help you discover, either on foot or bicycle, a land rich in history and culture. The many different paths vary in degrees of difficulty, but are fun all the same! 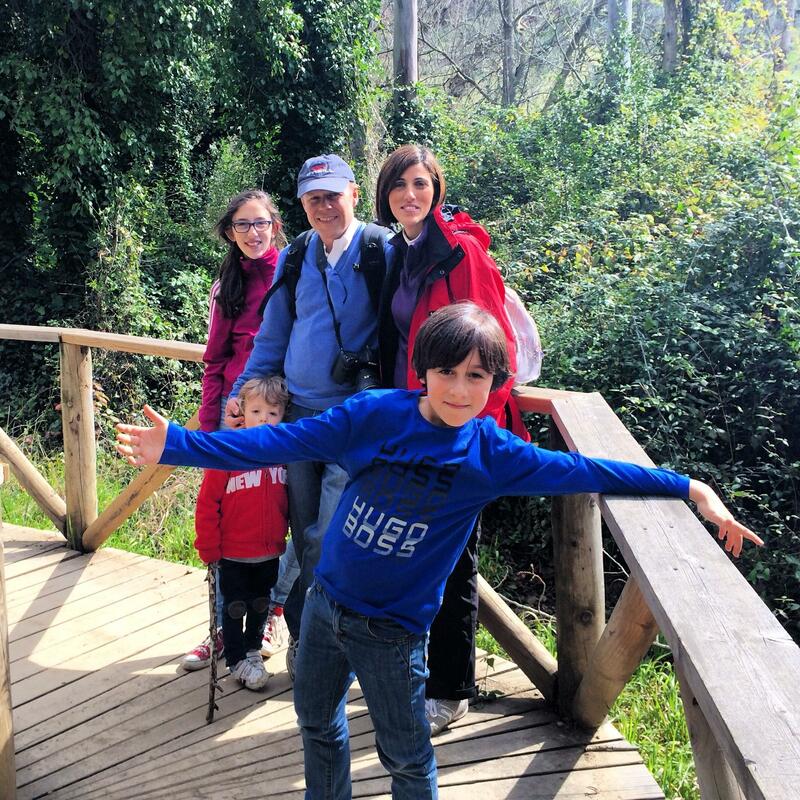 We recommend the route that goes from the Arroyo de Santa María to Cava Queen bridge, about 7 km in length and ideal for the whole family. For a view of the trails in the Pedroches Valley, take a look at this map on the official website. Quite close to the Caminito del Rey, you'll find hidden between large rock and stone walls a special staircase known as the Arabic Staircase. 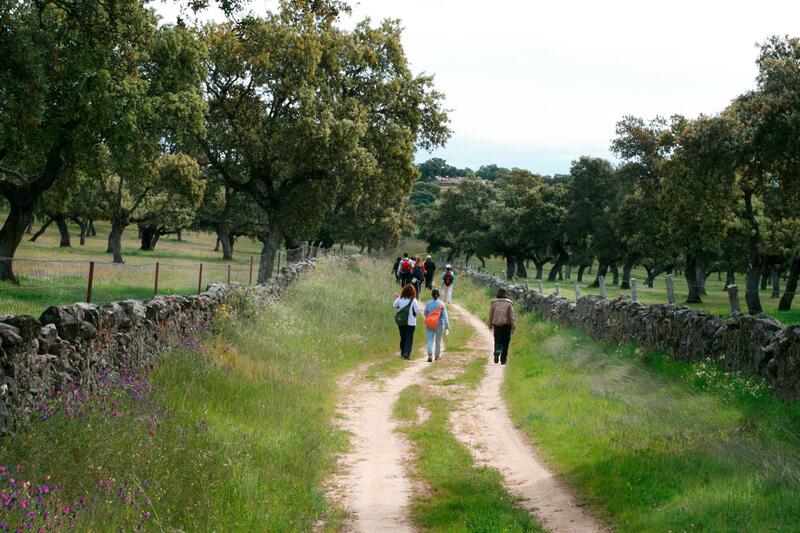 It's a path full of amazing views and interesting stories, recommended for adventurous medium and low level hikers. Features 11 km of trail with an approximate duration of five hours at a moderate pace. More information about the route of "the Arab Escalera"
If you have a knack for crossing daring bridges and feeling a little bit like Indiana Jones, we recommend walking the hanging brides of Los Cahorros. 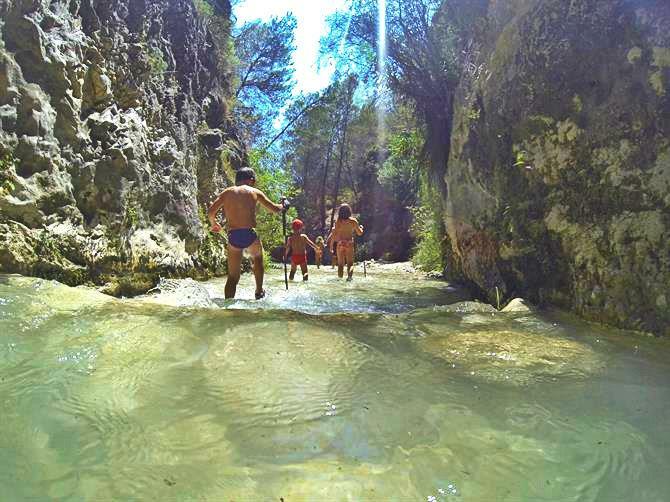 A perfect choice for a great day with kids, you will find it located in the small village of Monachil, Granada. Still relatively unknown to many tourists, this attraction is the best kept secret. Shhh! Here you can find more complete information about Los Cahorros! 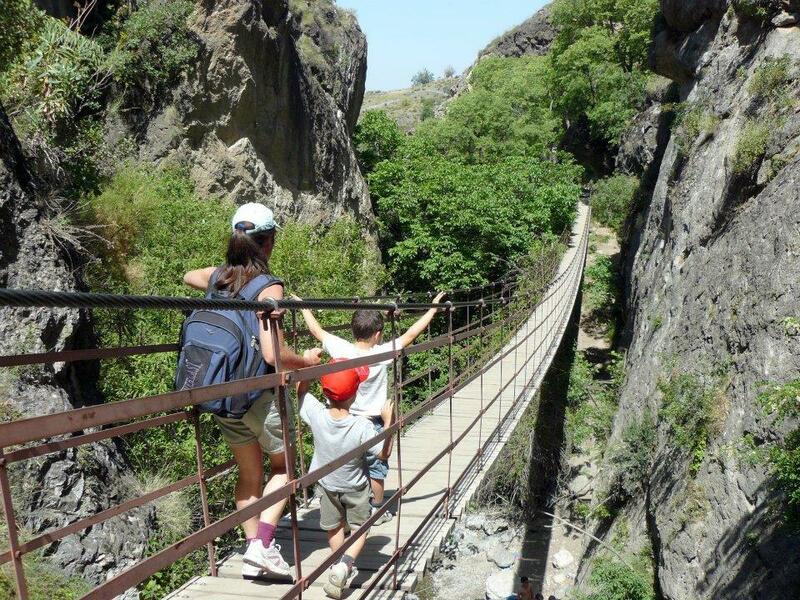 This route through the Chillar River is a summer classic for many families who tire quickly from the intense heat. The route through the Sierras de Tejeda, Almijara, and Alhama is a very unique environment, ensuring a fantastic day for the whole family. You'll find it to be a linear walk without many complications, though we do recommend comfortable shoes and a strong stick. Another piece of advice: try to avoid completing this route on a day with rain in the forecast, as it's been known to cause flash flooding. If you have the possibility to visit the province of Cadiz, don't miss the chance to hit up the Sierra de Grazalema! You'll enjoy another excellent hiking route along the Majaceite River. An environment of rocky mountains and abundant vegetation of firs, oaks, and other trees, it has been declared a Biosphere Reserve by UNESCO. 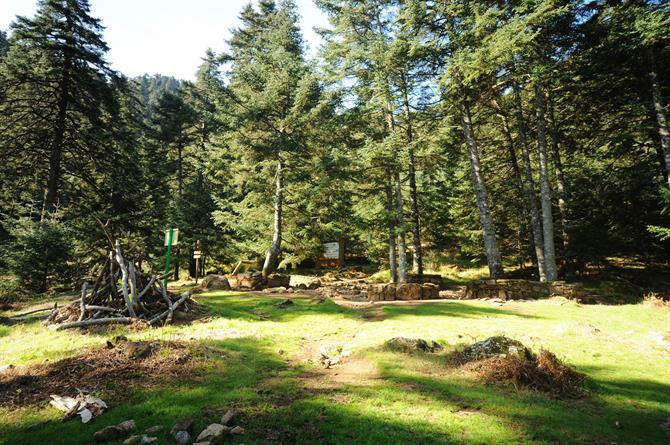 The Natural Park of Sierra Bermeja Royals is a scenic trail where the golden eagle, peregrine falcon, mountain goat, and Andalusian chameleon lizards live in harmony with the fir forest. The beautiful typical vegetation of the area remains so thanks to the many water ways that make their way to the forest. This beautiful trail is located between the towns of Estepona, Casares, and Genalguacil, although most of the pinsapar belongs to Genalguacil. Don't miss out on visiting this beautiful forest full of colour and life. 170,000 hectares of incredible vegetation formed by small hills with a very special climate and soil characteristics is what makes this vast expanse so unique! It's one of the largest cork oak forests in the world and a highly protected area. It stretches across both Cadiz and Malaga. If you are looking for a real adventure, one featuring extremely long and dizzying gorges, peaks exceeding 1,500 meters, look no further than the Sierras de Tejeda, Almijara, and Alhama. Though it's not an easy route, it's certainly not impossible. That said: this route is not for children. The cracked paths of limestone become a favourite of many experts familiar with canyoning. Become a real mountaineer and dare to crown La Maroma, one of the highest points in the province. 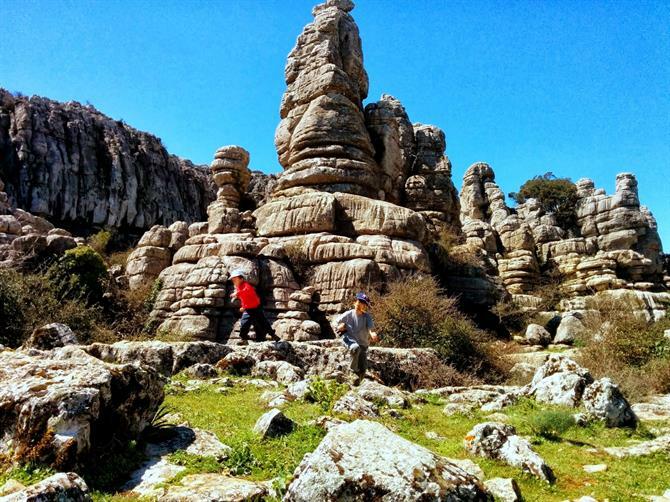 If there is any place with a unique enough location to make you feel as though you've transported out of this world, it's El Torcal de Antequera. A truly surreal environment that will leave you speechless at its views. The limestone rock forest is an exciting walk for people of all ages. Walking through these prehistoric stones is an experience capable of making you feel like a kid again. If you're lucky, you might spot a herd of Andalusian mountain goats!